Starting in fourth grade, educational standards require students to understand angles. A protractor is a simple tool used to measure angles and is used throughout upper elementary, middle school and high school geometry. 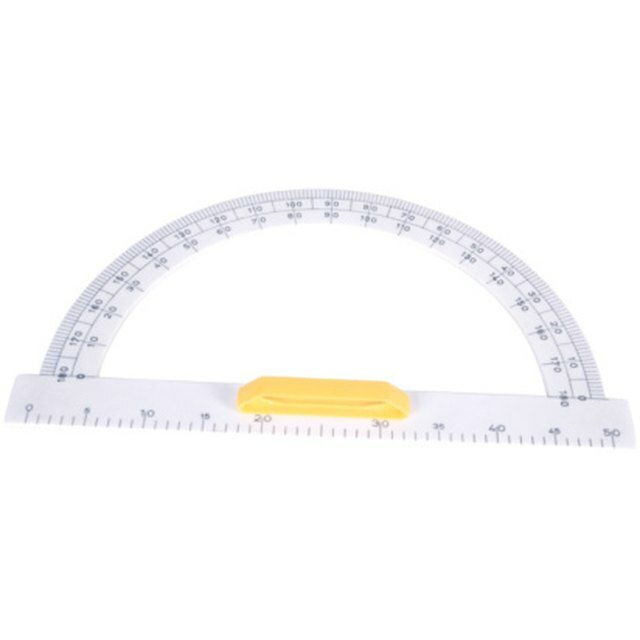 Basic protractors look like clear, semi-circle rulers with degrees marked along the curved edge. The flat side of a semi-circle protractor is called the zero edge. The center mark is halfway across the zero edge. Place the center mark over the point of the angle you're measuring. Match one line of the angle with the zero edge of the protractor, keeping the center mark on the point of the angle. 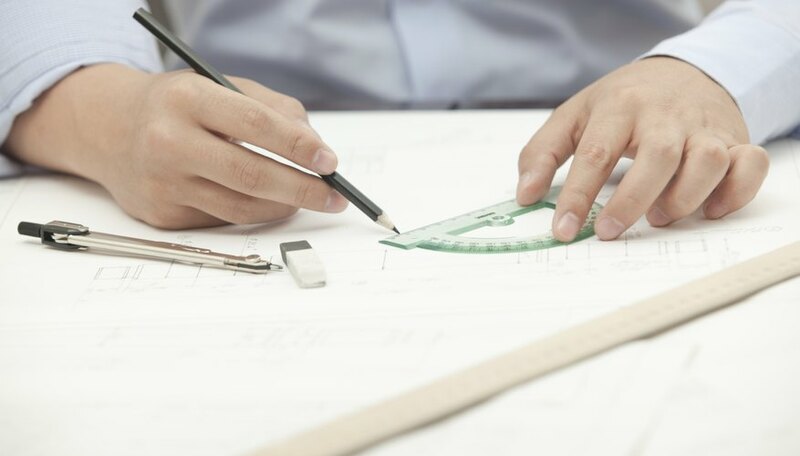 Place a ruler, piece of paper or another straight edge along the other line of the angle so the straight edge runs from the center mark to the outer edge of the protractor. Read the degree marking where the ruler crosses the curved edge of the protractor. You'll notice two sets of degrees along the edge: an inner and outer scale. Both scales go from 0 to 180, but they run in opposite directions. If the angle opens to the right side of the protractor, use the inner scale. If the angle opens to the left of the protractor, use the outer scale. Utah Education Network: Angles, Degrees, Protractors...Oh My! Frost, Shelley. "How to Read Protractors." Sciencing, https://sciencing.com/read-protractors-5110100.html. 24 April 2017. What Are the Definitions of a Right, Obtuse, or Acute Angle?